Goat, Achiever, Reliable, Prudent, Manager, Faithful, Disciplined, Ambitious, Dry sense of humour. 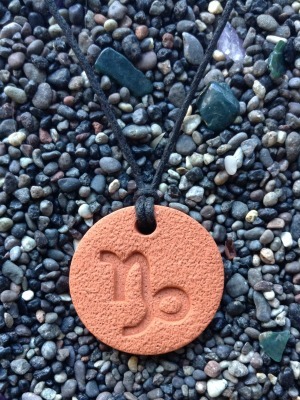 The practical Capricorn soul loves the feel of the terra cotta pendant. It appeals to the earth element of the Capricorn. The size is beautiful and the feeling is comfortable when wearing.